In the Making: It's FREEBIE time! Woohoo! Buuuut, the other week I made a couple of layouts and instead of just posting them here I thought why not post them and make a template to share? 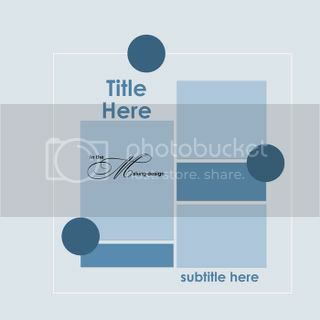 So today you will get not only one but two templates! Yay! If you like it, you can download the template by clicking this link! And you can download the file here. As always, please leave me a message at 4Shared or here if you download. Please remember to follow my TOU and I would love to see what you do with my stuff so do link me up! Thanks so much for the templates! thanks Linda, your templates are both amazing as are your pages! I appreciate your sharing them with us. I can't believe you got your whole Italy book done, I am still struggling with 20 pages, LOL. Thankyou so much for the templates Linda. I love your templates and your work. 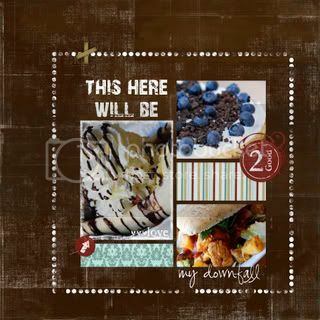 I have just posted a layout on my blog using one of your latest.